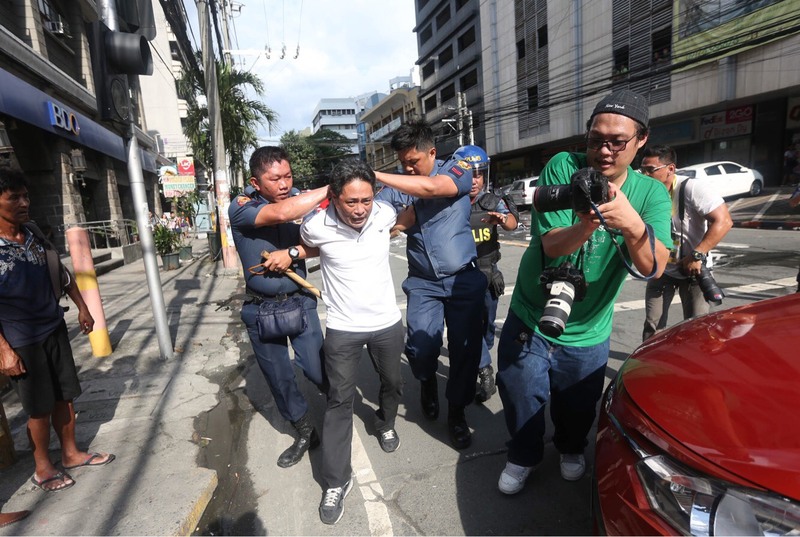 MANILA – Human rights groups decried the illegal arrests and abduction by police of a total of seven activists and supporters in the past five days, before and during the visit by US President Donald Trump and the start of the Association of Southeast Asian Nations (Asean) summit. These happened from Nov. 9 to 12 in separate incidents in the provinces of Cebu, Samar, Oriental Mindoro and Metro Manila. Among those arrested is a nursing mother who was tending to her two-month-old baby when arrested in a hospital in Oriental Mindoro. 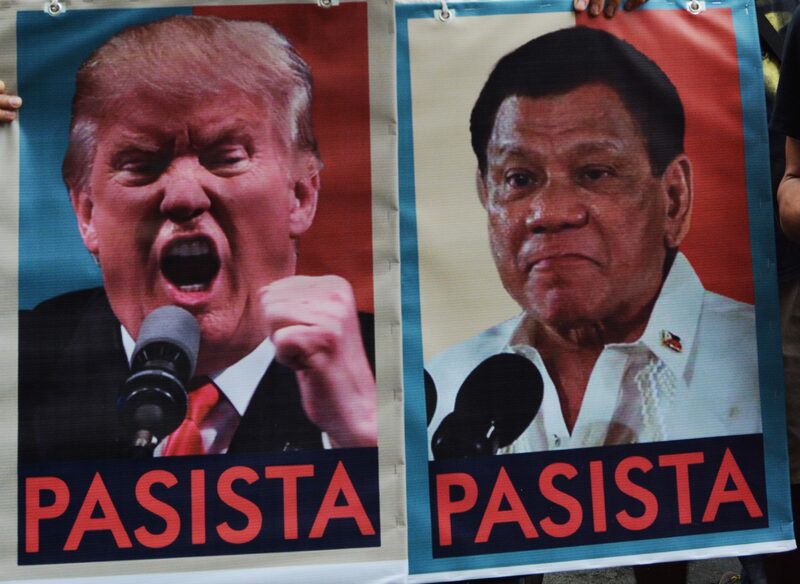 Human rights alliance Karapatan riled at the Duterte administration, for “unleashing its fascist and militarist policies” in fitting tribute to the visiting US president, who also faced growing protests in his own country. Groups like Karapatan had criticized the Asean for evading the issue of human rights violations, which hound all its member-states. President Duterte, who is this year’s Asean chairman and host of the summit, has been lambasted for his bloody war on drugs and continued political killings. The seven arrested are: former peace negotiator Rustico Tan, Lopito Paquigbao and Eddie Cullamat, who were arrested Nov. 9 in Cebu; health worker and former political detainee Emilia Marquez, who was arrested with Jess Carlo Poblador on Nov. 10 in Oriental Mindoro; peasant leader Carlito Badillo, arrested also on Nov. 10; and Neil Legaspi, who was arrested during the anti-Trump protest in Manila on Nov. 12. Legaspi, a Karapatan staff who was detained by the Manila Police District, was released this afternoon, Nov. 14. Poblador was also immediately released shortly after arrested. The five others remain in detention. The group Buhay na Alay para sa Nagkakaisang Isla ng Mindoro (BAYANI Mo) is calling for the release of Emilia Marquez, 29, who was abducted while tending to her critically-ill two-month-old baby at the Medical Mission Group Hospital in Calapan City, Oriental Mindoro. On Nov. 10, at 11 PM, four soldiers in plainclothes led by Corporal Marcos Padilla Magnaye of the Philippine Army’s 203rd infantry brigade nabbed Marquez and Jess Carlo Poblador, 27, who was assisting Marquez in the hospital. The soldiers refused to identify themselves when Marquez asked for their identification and arrest warrant. Marquez refused to come with the soldiers, who then forcibly took her and Poblador, in full view of the shocked hospital staff. Marquez, a native of San Jose, Occidental Mindoro, is a former political detainee and was one of the “Morong 43,” the 43 health workers arrested in February 2010. They were released in December 2010 after prosecutors withdrew the charges of illegal possession of firearms and explosives. A team of human rights workers searched for Marquez and Poblador in various detention facilities of police, military and the National Bureau of Investigation, which all denied they have the two. The group also learned that the Army corporal Magnaye asked to have the recording of the closed-circuit television erased, but the hospital staff refused. After 24 hours, Marquez was able to call and inform her parents that she was detained in at the 203rd IB headquarters in Bansud, but was being brought to Calapan City. She is currently detained in Pinamalayan, Oriental Mindoro. The group said Poblador was already released, but gave no detail. BayaniMo said Marquez was charged with two trumped-up charges: a murder case at branch 44 of Regional Trial Court (RTC) of Mamburao, Occidental Mindoro, and frustrated murder at branch 41 of RTC Pinamalayan, Oriental Mindoro. “Emilia Marquez, hails from a poor family, and is passionate in serving the underprivileged and managed to continue her work as a community-based health worker for the indigenous Mangyans and farmers of Mindoro. Since then she was followed by suspected state agents and consistently harassed thru vilification and pressuring her aging parents to submit him to authorities though no cases were filed against her,” BayaniMo said in its statement. In its statement, Karapatan said that Paquigbao and Cullamat were first to be nabbed by a joint team of police and military men who came looking for Rustico Tan at his farm in Palaminya village, Oslob, Cebu on Nov. 9, at 5 PM. Failing to find Tan, the government troops took the two men who are both farm workers of Tan. Karapatan said they later learned from the Philippine National Police in Oslob that Tan has also been arrested and he and the two other men are detained at the Armed Forces of the Philippines (AFP) Central Command in Camp Lapu-Lapu, Cebu City. The group later learned that Tan was transferred detention to another island, in Camp Dagohoy in Tagbilaran City, Bohol province. The group, however, is yet to confirm if Paquigbao and Cullamat are detained at the AFP CenCom in Cebu city. Tan, 76, is a former Catholic priest belonging to the Missionaries of the Sacred Heart of Jesus (MSC). He was a peace consultant of the National Democratic Front of the Philippines (NDFP) and was one of the negotiators in the peace talks with government during the Corazon Aquino administration. 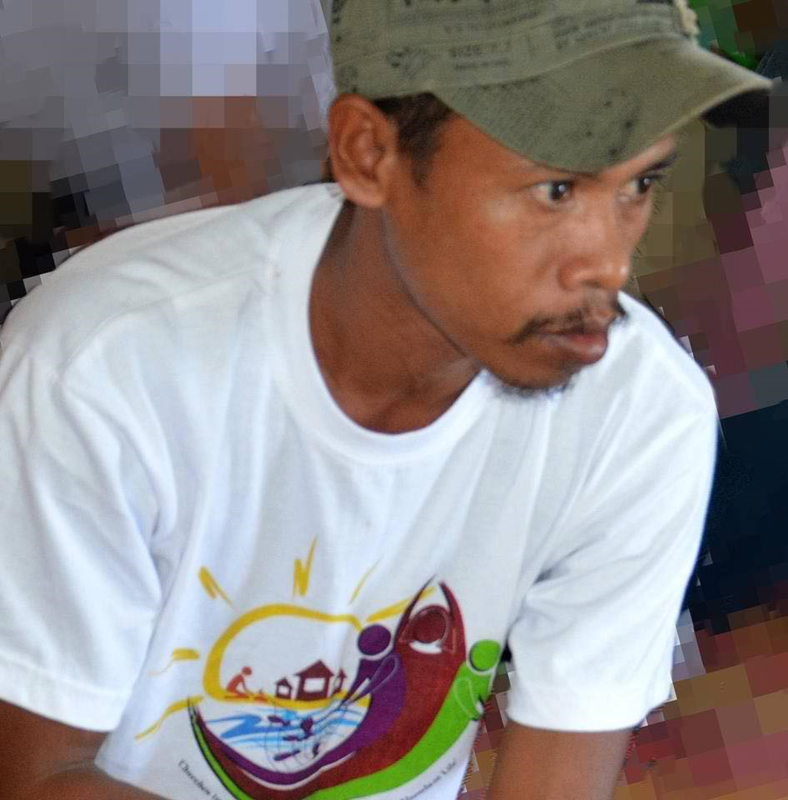 Tan is engaged in sustainable agriculture in his hometown in Oslob. On Nov. 10, at 7 AM, peasant leader Carlito Badillo had just brought his children to school in Tag-alag village, Marabut town in Samar province when he was abducted by a group of men. Later, the 87th Infantry Battalion of the Philippine Army admitted that they have Badillo in their custody. Badillo, a leader of Tag-alag Farmers and Fisherfolk Association, is being detained at the Marabut Municipal Police Station. Karapatan said trumped-up charges of rebellion and illegal possession of explosives were filed against Badillo. As of Sept. 30, Karapatan had documented 28 political prisoners in the Eastern Visayas region, 13 of whom are ailing. The group has documented 435 political prisoners, with 94 arrested and detained under President Duterte. “Instead of heeding the demands of peasant organizations, the Duterte administration is blatantly disregarding the plight of farmers and have continued to violate their political, economic, and social rights,” Clamor said. “The Duterte administration must also junk Oplan Kapayapaan, a counterinsurgency program patterned under the US counterinsurgency guide, which seeks to curtail dissent and forego people’s rights to protect the interest of the few,” Clamor said. “Who do we expect to guard a human rights violator, fascist, and bigot like US President Donald Trump? None other than his fellow fascists, personified by our own police force. In true militarist and fascist fashion that their masters –Trump and Philippine President Rodrigo Duterte – would no doubt be proud of, the police arrested Karapatan’s staff who was then driving the van and injured at least 20 protesters, including Anakbayan Chairperson Vencer Crisostomo,” said Karapatan secretary general Tinay Palabay. Karapatan lambasted the Manila Police District for the arrest of their staff Neil Legaspi, as well as for taking the group’s van and the belongings of the paralegal team. On Nov. 12, at 2:30 PM, Legaspi was driving the van along Mabini street, following the main body of protesters as part of the paralegal team, when he was accosted by members of the Task Force ASEAN and the Criminal Investigation and Detection Group (CIDG). “He was forced out of the vehicle, his hands tightly handcuffed, and his head forced down by two policemen identified as PO1 Agcamanan and PO2 Bigcas of the Regional Public Safety Battalion, under the leadership of Task Force ASEAN,” said Palabay in a statement. The men also punched him in the back. “The paralegal van was also taken by the police, allegedly by police operatives identified as O. Silla, E. Ocampo, R. Siochi, J. Florendo, Padua of the Criminal Investigation and Detection Group of the Philippine National Police,” Palabay said. Legaspi was brought to the CIDG bus along UN avenue, where he saw the Karapatan van being driven by a police man. Later, he saw CIDG operatives also went in and out of the van where the paralegal team’s personal belongings were kept. Legaspi was released at 1:30 PM today, but will still undergo further preliminary investigation before the Manila prosecutor, on charges of violation of the public assembly act, assault upon agent of person in authority, and resistance and disobedience. The Karapatan van remains in custody of the police. “We personally witnessed how the CIDG scampered around to consolidate a script for the entire unit. The tag ‘scriptwriters’ is a perfect fit, as these operatives busied to stage a convincing narrative. They first planned to file a case of reckless imprudence resulting to physical injury against Legaspi, but later changed the charges,” Palabay said. She added that some personal belongings of were missing, the staff’s bags were searched, with wallets left open. She said they are looking into charging the police with illegal search and carnapping.